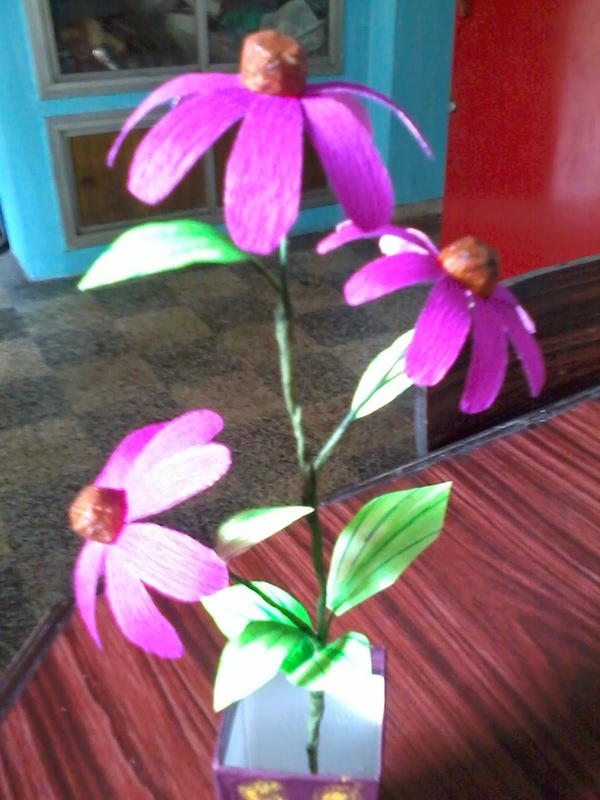 The flowers are made from duplex paper.The leaves are made from chart paper.The flower center is thermocol. 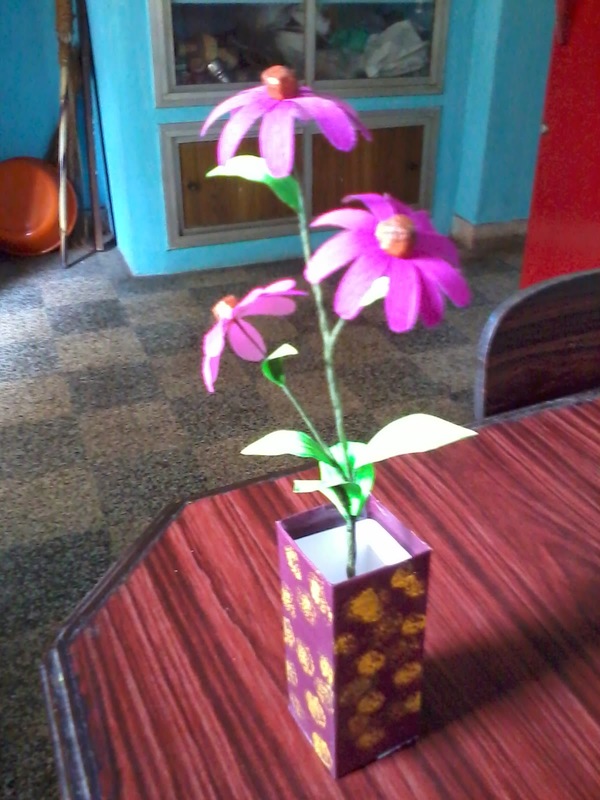 The is made from empty box. I covered the box with varnish paper. Then painted with sponge dipped in paint.